Only a day after the Spectrum's 36th Birthday, Rick Dickinson has died after battling cancer since 2015. After graduating from Newcastle Polytechnic, the talented chap joined Sinclair Research & became their in-house designer for the ZX80, ZX81 ZX Spectrum & the mighty Sinclair QL & Z88. He also supported the design & implementation of the touch sensitive keyboards used. 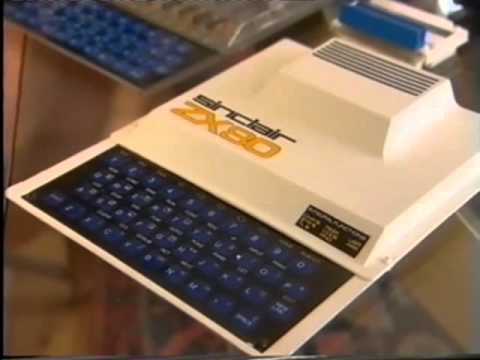 Rick's ZX81 design resulted in an award by the British Design Council in 1981. Rick was also involved in the Vega design & the ZX Spectrum Next project. Back in 2012, during a BBC interview, he stated the origins of the British Sinclair computers leapt England in to the home computing world and gave 'bedroom coders' (such as myself back in the day) a reputation for creativity. Dickinson worked alongside other power-houses of the day such as Amstrad & AT&T, yes, his designs even help form the first broadband mobile phones! The ZX Spectrum Next will pay homage to Rick's amazing input over the years by giving him a well deserved mention in the upcoming manual for the machine. We very much look forward to this hat-tip. We have been at a specialist clinic in America – Texas to be precise – since the end of March undergoing complimentary treatment as a last attempt at hoping to heal him when he passed away quickly, without warning having collapsed in the apartment we were rented here. He was in no pain and surround by huge love from the amazing people that have become firm friends here – that Texan southern hospitality truly was - and continues to be - laid at our door. Rick will be cremated here in Texas and I will travel home with his ashes once the paperwork is sorted probably at the end of next week. And, rather than a traditional funeral (which you know is really not his style) his much loved daughters that he was so proud of - Grace and Daisy - and his mother Ursula and I will be planning for a celebration of his life where we can all get together and remember him with love, laughs, smiles, anecdotes and a few beverages. I will of course let you know details once we have finalised plans. And can I ask that - for the time being - please don’t call as I simply can’t face talking right now, but I would dearly love to receive your messages, emoticons and any photos or memories you wish to send of the person who was – simply – the wonderful Rick, love of my life. As most will know, Rick was heavily involved in the design of the ZX Spectrum Next case. Here are his images relating to that design, as stored on Flickr.